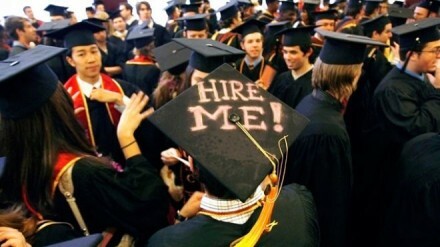 Can A Marketing Degree Help You Score A Job At A Marketing Firm? When you are thinking about entering an institution of higher education, your major can be crucial in determining your job eligibility. As time goes on, we are seeing more and more companies put time and effort into marketing. With the presence of the online world, there are more companies who engage in online and offline marketing strategies/branding and SEO Activities. Putting this into consideration, could a marketing degree be good for you? Marketing is related to, but distinct from sales and advertising. It is a multi-functional field that teaches you a great deal, but first, you need to think about what it all means. Some of the core classes that you take in a marketing degree are very much business related. They are the same classes that a business major will take, and they essentially show you a little bit about what you are getting into. The business structure that you are entering has a lot to do with how your job looks, and you will find that learning more about this allows you to climb. Many different businesses are covered, and you can take electives that teach you more about the employers that you hope to work with, including the government and private lobbyists. When you are in marketing, you need to find a way to communicate directly with the customer. How can you get your messages across, and how can you make your product or services more exciting and necessary to their lives? You will learn all about how people think and what they are drawn to. Understanding your target market and finding ways to satisfy and meet your customer’s needs is a very valuable insight for formulating a marketing approach. While some people find this rather manipulative, other people simply see it as learning to communicate in a higher register. A marketing expert is someone who has their fingers on the pulse of the people who buy their products or use their services. Whether you own a business or work for one, as a marketer you need to learn how to communicate effectively with your customers. Communication comes in many forms. Either you address your target market verbally, create ads, drive marketing campaigns or promote using social media, learning to communicate well will not only give you a response but it will give you your desired results. A marketing professional is someone who needs to be very up-to-date on what they do and how they serve, and they also need to convince other people about how important their goods and services are. This is why marketing degrees often encourage things like speech classes. You cannot afford to fumble around when it comes to explaining what you do, and the more precise you are and the more engaging you are, the more successful you will be. If you work in marketing, you need to be someone who is decisive and who can decide what is going to happen when. This means that having a few marketing classes under your belt. Management classes prepare you to deal with people who want to work for you, but who also need organization. Marketing brings you into contact with many creative and entertaining people, and management courses allow you to harness their work and bring it to fruition. If you are a marketer, you are going to be facing challenges everyday. A marketing degree teaches you how to find solutions. It does not give you the solution’s whole cloth. If you are someone who loves the chance to learn something new everyday, or if you want to make sure that you are always growing by leaps and bounds, marketing can help. If you are someone who is invested in making sure that marketing is right for you, consider everything that makes this degree what it is, and also consider the career that is waiting for you! George Burke is a recent California architecture school grad and hence knows the ups and downs of higher education. Before his most recent degree, he got an undergraduate education in advertising at University of Washington.